Front artwork by Danille Gauvin and Justin Stubbs. Logo by Seth Bennett. Back artwork by Danille Gauvin and Vault Of Dried Bones. Sleeve sigil by C.S. and Krag. 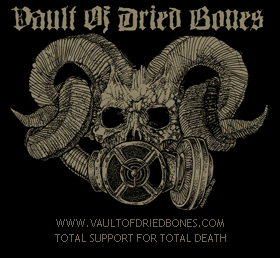 Artwork modifications by Vault Of Dried Bones. Artwork by Devil Joe (artist for Kerasphorus, Angelcorpse…). Logo by Seth Bennett. Logo by Craig Reid. 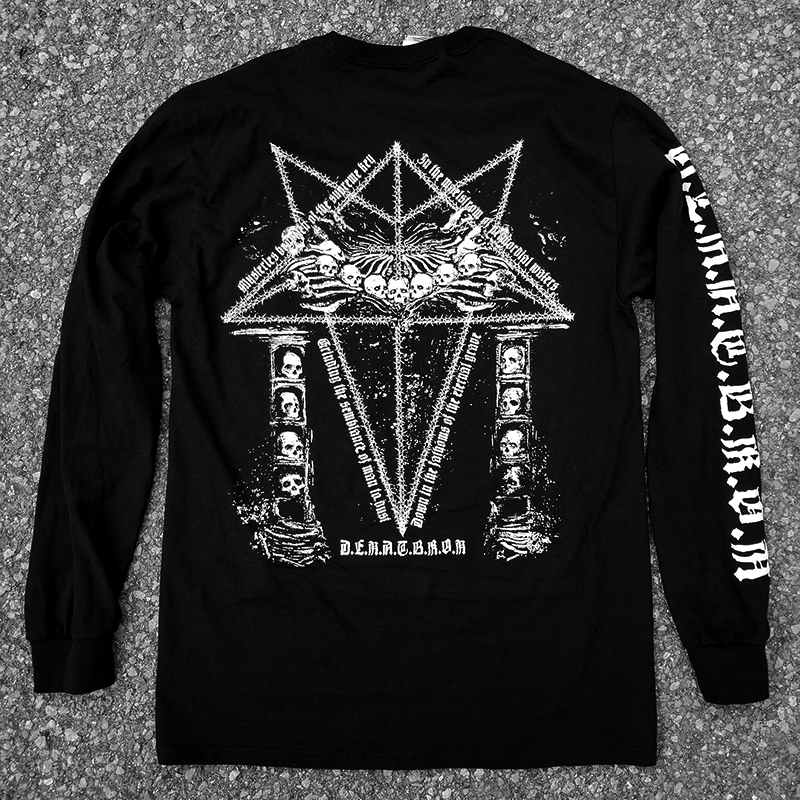 Printed on bone white and black shirts. Limited run to fuel the MLP recording process. This entry was posted in News and tagged adversarial, azothyst, death metal, devil joe. Bookmark the permalink.